Employers of labor are bound by law to ensure that they pay all their staff members who avail their services during overtime. Outside the few cases of exemption, every employee must be settled as provided by the law for their services. If you or someone you know has been denied of the payment they deserve, whether by the error of the employer or by a malicious attempt of their employer to cheat them out of their remuneration, then you are implored to speak out and talk to a qualified attorney who would help get you the justice and pay that you deserve. Your attorney will evaluate the potency of your case, collate all needful documents and evidence and give you a smashing representation in court that will guarantee your compensation. 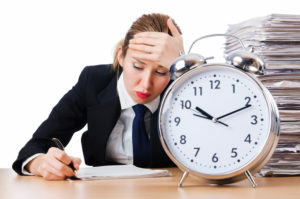 Getting the services of an attorney in cases as these is key because Unpaid Overtime claims can be quite tricky especially when one considers those who are exempted from such pay. Rawa Law Group is one of California’s big names in legal practice. Our Unpaid Overtime attorneys here in Hawthorne are ready to go above and beyond in the deliverance of your desired outcome. Through our over two decades of service, we have brought substantial meaning to the lives of our clients by helping them get their rights and settlements. We would be honored to do same for you. Reach out to us today and take advantage of our FREE case evaluation offer.